James Reed had 18 kills, 10 digs and three aces, and Green Valley’s boys volleyball team rallied to win a 25-20, 18-25, 25-27, 25-22, 15-9 road match over Legacy on Thursday. Cooper Burgess added five kills for the Gators. Christian Brown had 14 kills, 12 assists and 11 digs to lead Legacy. Matthew Cook tallied 21 assists, six aces and three digs for the Longhorns. Eldorado 3, Valley 2 — At Valley, Dahlton Stack had seven kills and three digs to lead the Sundevils over the Vikings, 25-20, 25-23, 19-25, 13-25, 15-9. Keyunte Schroeder also had seven kills, while Tim Lawson dished out 25 assists with five kills and 12 digs. Juan De Dios-Magana had 17 kills to lead Valley. Noah Sutton had 12 kills, and Isaac Frazier had 14 kills and 10 digs for the Vikings. Del Sol 3, Western 2 — At Del Sol, Alejandro Marin had 13 kills, two aces and seven blocks as the Dragons outlasted the Warriors, 23-25, 25-23, 25-16, 21-25, 15-13. 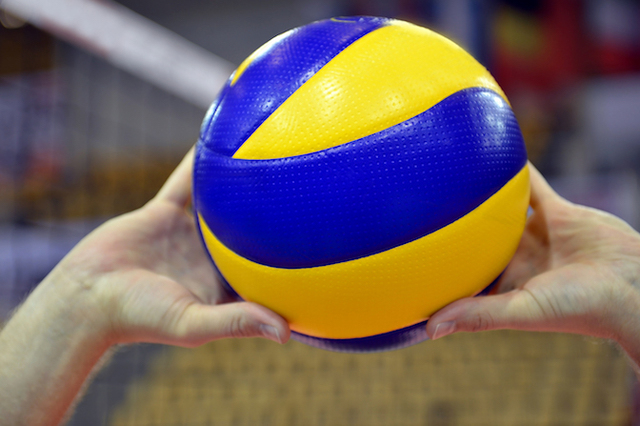 Alan Ramos-Flores added two kills and 26 assists, and Clinton Cavosora notched 12 digs for Del Sol. Anthony Dodson led Western with 14 kills, one ace and two blocks. Christian Macias had three kills, 29 assists, three aces and two blocks, and Brandon Grajeda had four kills and one block for the Warriors. Durango 3, Sierra Vista 1 — At Sierra Vista, Jaylen Clark had 15 kills and 13 digs in the Trailblazers’ 25-19, 18-25, 25-16, 26-16 win over the Mountain Lions. Tim Kedrowski added eight kills and four digs, and Tai Foster had six kills for Durango. Frank Harris led Sierra Vista with 10 kills. Tech 3, Chaparral 1 — At Tech, Collin Faught had 20 assists, eight digs and two aces as the Roadrunners toppled the Cowboys, 25-16, 26-24, 23-25, 26-24. Pierce Zaman had 15 kills and seven digs for Tech. Jacob Frisch had 14 assists and three aces to lead Chaparral. Sam Realica had five kills and 13 assists, and Chris Chavarria added eight kills and two blocks for the Cowboys. Desert Oasis 3, Spring Valley 0 — At Desert Oasis, Liam Morrissey had seven kills and four blocks, and David Toole added seven kills, five digs and two blocks to help the Diamondbacks to a 25-16, 25-17, 25-18 win over the Grizzlies. Joshua Sadama had 16 assists and four digs, and Tyler Sadama notched 13 assists and three digs for Desert Oasis, which also got 18 digs from Bryson Sadama. Jacob Teems-Robinson led Spring Valley with four kills and three blocks. Joshua Hunt had eight assists and one block, and Dustin Cuayzon had five digs for the Grizzlies. Bishop Gorman 3, Bonanza 0 — At Bishop Gorman, Trevor Papock dished out 32 assists to power the Gaels to a 25-18, 25-15, 25-10 rout of the Bengals. Charles Pollnow notched 12 kills, 11 digs and seven aces for Gorman. Will Hafen had 11 kills, and Luke Bradford added five digs for the Gaels. Paolo Luchs led Bonanza with eight kills, and teammate Mark Thuet had four kills and six digs. Mojave 3, Desert Pines 0 — At Desert Pines, Antonyo Wright had 16 kills, and Joseph Silva put down 12 kills to lift the Rattlers to a 25-13, 25-13, 25-15 win over the Jaguars. Juan Valdez dished out 24 assists for Mojave. Joshua Moran had four kills, 13 digs and one block for Desert Pines, and teammate Leonel Rincon added five kills, one ace and five digs. Rancho 3, Canyon Springs 0 — At Rancho, Daniel Grantham had 10 kills and seven digs to guide the Rams to a 25-18, 25-11, 25-17 win over the Pioneers. Brennan Berti added 12 kills, and Tiger Tokunaga had 11 kills to lead Rancho. Cheyenne 3, Sunrise Mountain 0 — At Sunrise Mountain, Brian Orellana had 11 kills and four aces to power the Desert Shields to a 25-18, 25-18, 25-12 sweep of the Miners. Tyler Buchanan added nine kills and three aces for Cheyenne.